The Mets continued their league championship go around before they start the World Series next Tuesday. 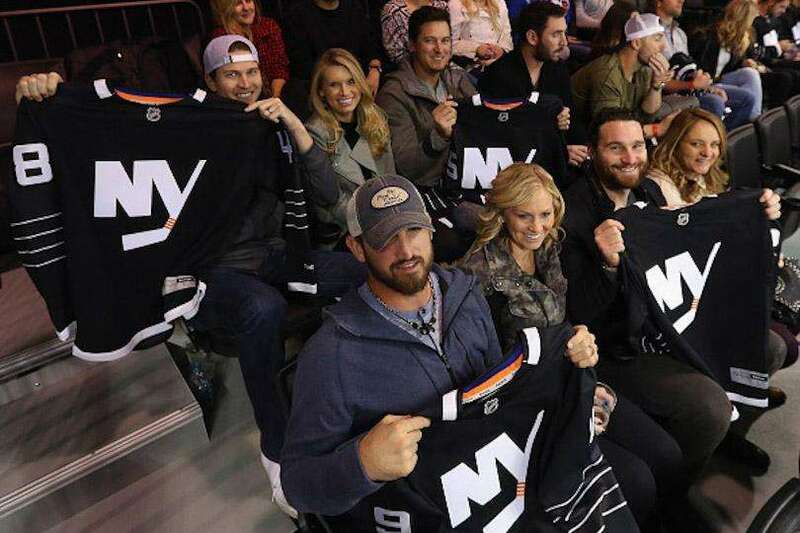 Tonight was the Isles turn to host their fellow brotherin that share the blue and orange. There’s something you don’t see everyday, a goal scored and a fight occurring as it happens. No wonder nobody came to celebrate with Zeeker and Johnny B.
Let’s hope Johnny Boychuck’s 401st game goes better than his 400th did for his team. Steven Matz, the 24-year old from Stony Brook, who grew up a die hard Isles fan, was also in attendance tonight. Our own Ethan Levy noted he had a friend along with him, that friend was NLCS MVP Daniel Murphy. So I guess someone still not happy even though the Mets are in the World Series. Even though the night ended on a sour note, there was still this.